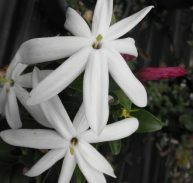 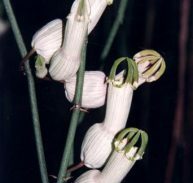 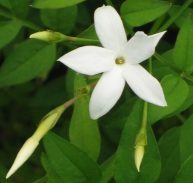 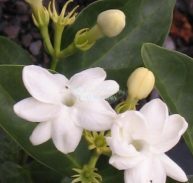 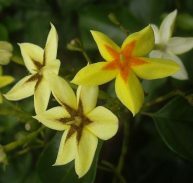 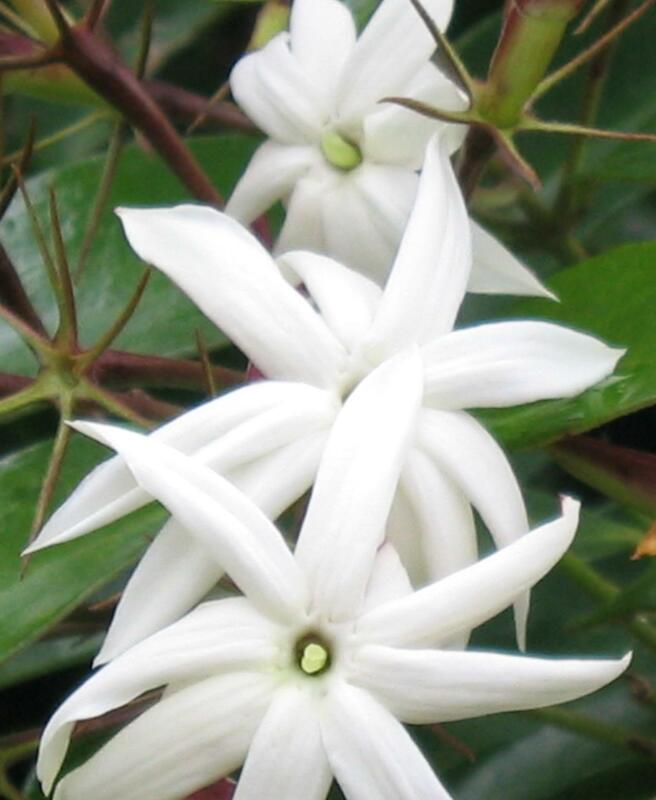 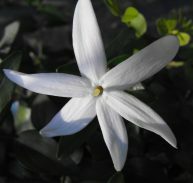 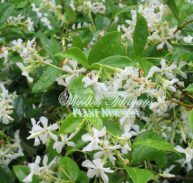 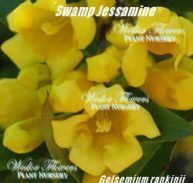 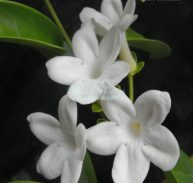 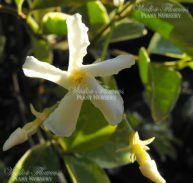 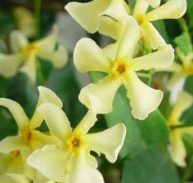 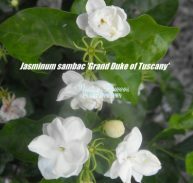 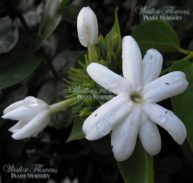 Jasminum nitidum is a member of the Oleaceae family and is a native of New Guinea. 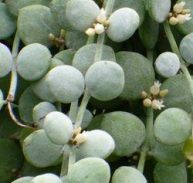 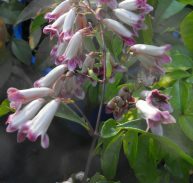 The stunning white flowers are up to 50mm across and start with deep pink buds and appear from autumn to spring and will spot flowers at other times. 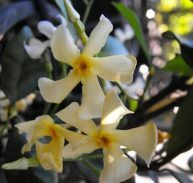 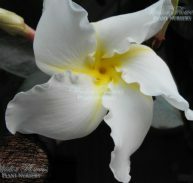 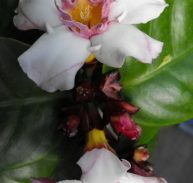 The flowers are fabulously fragrant. 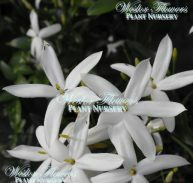 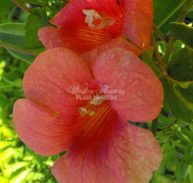 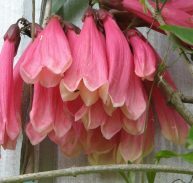 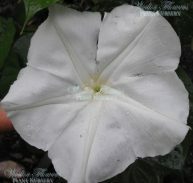 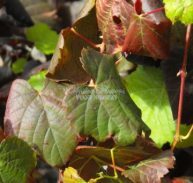 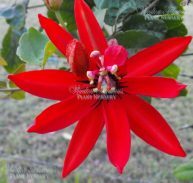 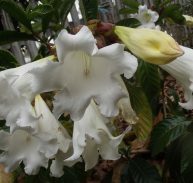 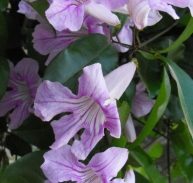 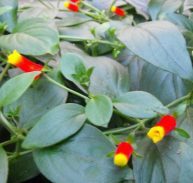 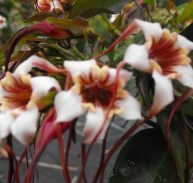 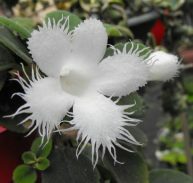 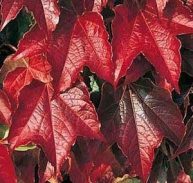 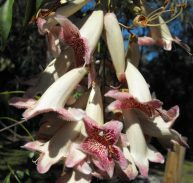 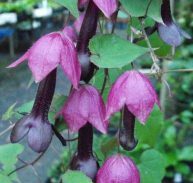 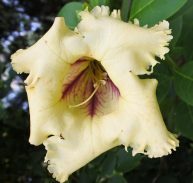 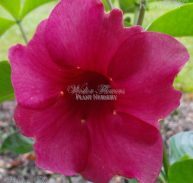 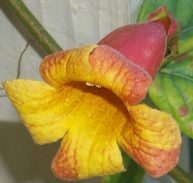 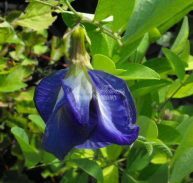 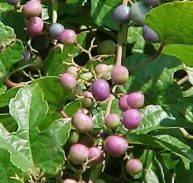 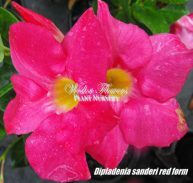 It is a fast growing vine but also if allowed will form a large 2 metre shrub. 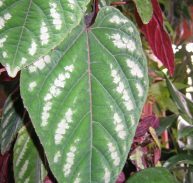 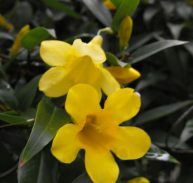 The leaves are glossy green and are evergreen. 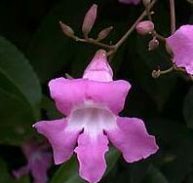 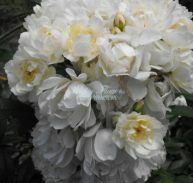 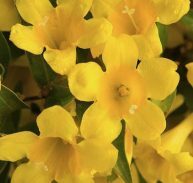 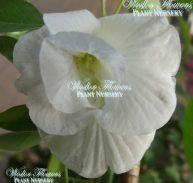 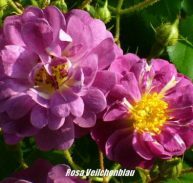 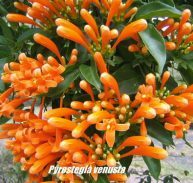 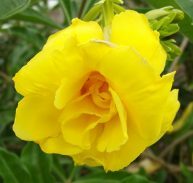 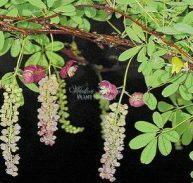 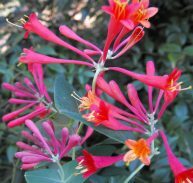 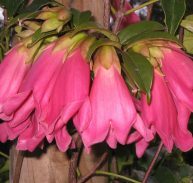 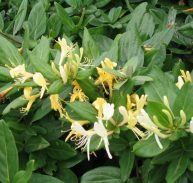 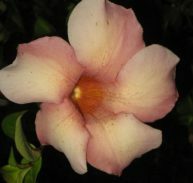 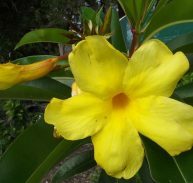 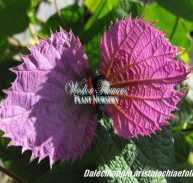 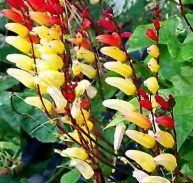 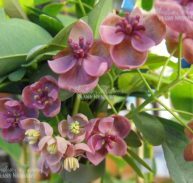 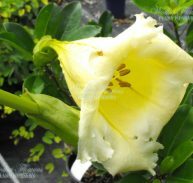 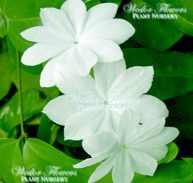 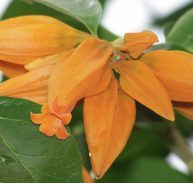 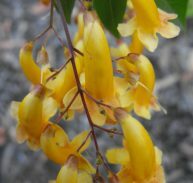 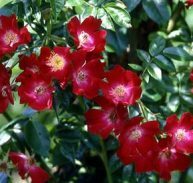 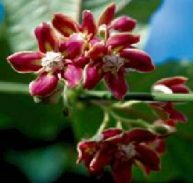 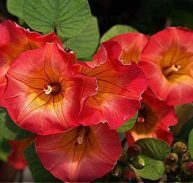 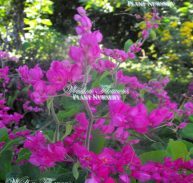 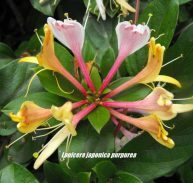 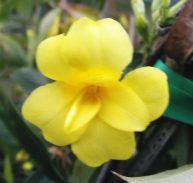 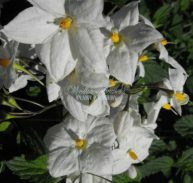 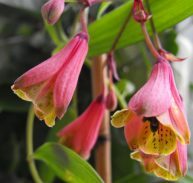 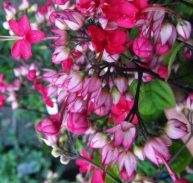 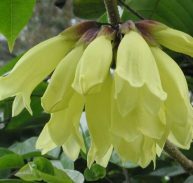 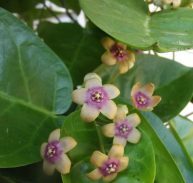 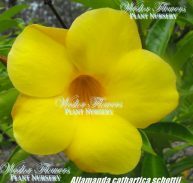 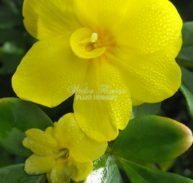 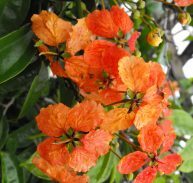 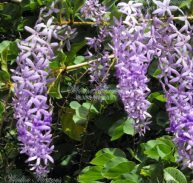 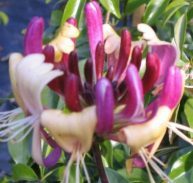 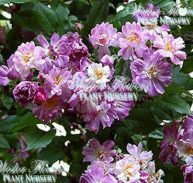 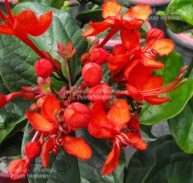 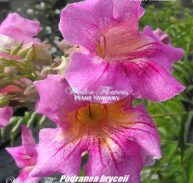 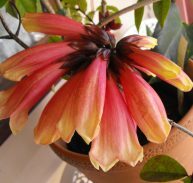 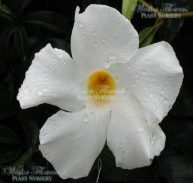 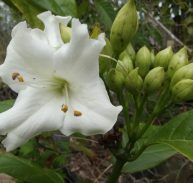 It is versatile because it can be used on a trellis, kept as a shrub or topiarised on a post. 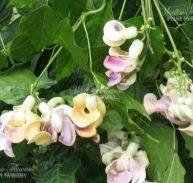 YOU WILL ENJOY THIS BEAUTIFUL VINE!